How to Find your Lost or Stolen Android Smartphone? Do you lost or stolen Android smartphone/mobile? Then how to find it? First check whether Google app installed on your device. If not, then after buying install it here. If installed, then check your lost device on your computer/laptop over internet connected and open up the browser and go to Android Device Manager. Must Check whether your browser must be logged into the same Google account your phone is registered. Now, you will find a box as shown below with your phone details and actions to take menu. So, whatever you want to, Ring the phone, Lock it or Erase the data. 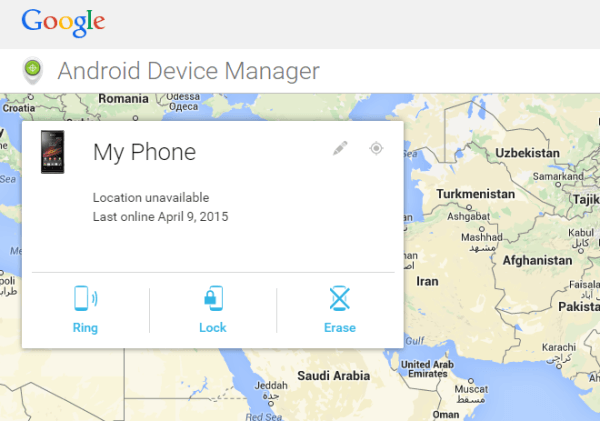 Here is the Google help on Android Device Manager. How to set-up Android Device Manager.